Engineers can find themselves caught between (1) their budget and (2) their desire to get the project done right. If you’re planning on working with a system integrator to develop a manufacturing test system and you’re looking for ways to get the most bang for your buck on a budget, this guide will get you well on your way. At Viewpoint we often make suggestions to our customers to help make their project more budget friendly. These suggestions can help you reduce the cost of your test system by ~10-40%. Note: For the purposes of this guide, we’re treating all customer labor as “free” because often times customers value dollars out the door much more than their internal labor. We don’t necessarily think this is the optimal view, but we work within that reality. We think a more holistic approach would be to consider fully loaded internal labor costs balanced against each company’s core competencies and personnel availability/loading. Test management software provides easy test sequencing, integrated report publishing, operator interfaces, and test user management. They’re especially useful in manufacturing environments where a lot of common features are found between different test stations. In manufacturing environments, test management software can be set up to automatically select the correct test sequence when a part number/model is entered. 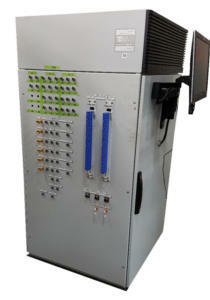 National Instruments TestStand is the industry standard in test management software. Viewpoint’s StepWise is a test executive that is designed for a low-volume production environment. Utilizing features within National Instruments Measurement & Automation Explorer (NI MAX) when working with NI DAQ systems cuts down development time and adds flexibility to a test application. When it comes to generating reports within your application, leveraging a helper tool like Viewpoint’s DocX Toolkit can save development time and create professional reports. Get curious (and a little flexible) and ask your system integrator if there are changes that can be made to the requirements to be able to leverage existing tools. How it saves: Reduces development time and decreases project risk. You’ll obviously need to pay for any licenses. If this tool can be used for multiple projects on the same license, then the savings can multiply. Amount you could save: In many cases, leveraging an existing tool can save 30-40% of development time. Getting the best value doesn’t necessarily mean eliminating all non-core features. We often find situations where a small amount of development time can greatly improve the utility of the work we are already doing, in ways that save money in the long run. 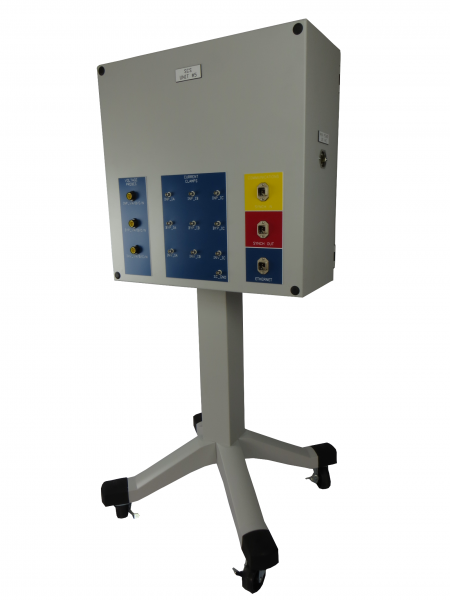 For manufacturing test systems, adding a manual test panel for troubleshooting can add a lot of value when you consider the amount of time that can be saved with the utility. We have seen engineering, quality, and manufacturing groups make use of this type of feature because it allows them to manually run isolated tests on a unit. Add a test panel to your application for debug purposes. How it saves: In order to improve the operator experience for a test system, you generally want to minimize the information displayed and minimize the flexibility of the tester, because you want to minimize the opportunity for mistakes. This is in direct conflict with the objective of a debug panel. A debug panel helps you do things like run partial test sequences and provides you with detailed intermediate data so that you can hone in on the location and cause of the bug faster. Consider the potential time saved in the long run. A test panel could save hours per defective unit in troubleshoot time, or even 1-2 days per build when validating new hardware or software builds. Depending on the product lifecycle, the extra ~5-10 days of effort could save tens of thousands of dollars. User interfaces typically include access to test setup, station configuration, and test results. In some applications it is appropriate to create a more complicated user interface with access to all station configuration aspects – what lines contain what signals, instrument address, scaling of the output signal, etc. However, in many applications those parameters are seldom changed – perhaps only if an instrument is replaced. If an advanced user with extensive knowledge is always making those changes it is usually more appropriate to hide those parameters from the user interface and utilize a station configuration file. A station configuration file is faster to implement and it simplifies the user interaction at run time, which is a win-win for project budgets. Simplify your user interface by utilizing text based configuration files. How it saves: Less user interaction means less software to develop. Assuming only knowledgeable people will be touching configuration files saves in documentation and software checks. It could take a week or more to create a complex user interface. A simple user interface can be done in about a day. How many times have you heard someone say “do you want the job done right or fast?” It may be cliché, but timelines play a part in an engineering budget. By setting realistic expectations and having conversations about schedule, overall budget can be decreased. A common situation we face at Viewpoint is concurrent development of the product and the test system that will test that product. Concurrent development can be a helpful strategy when an aggressive schedule is unavoidable, however, it is a perfect catalyst for scope changes, TBDs, and pauses in work. Avoid situations where the system integrator’s work is dependent on progress made by other parties. Instead, engage the system integrator as a consultant to assist in planning for their phase of the project. How it saves: Allows the system integrator to have all of their requirements up front. This can avoid scope changes and inefficiencies created by work stoppages (which often occur when the integrator is missing information). Having the system integrator involved in the planning phase allows them to provide input in situations that will speed up their development time and provides them with necessary background knowledge when their phase begins. Scope changes can increase development time by anything in the range of 5-50%. When facing a situation where all the features cannot be implemented within the current timeline or budget, a phased function rollout may be an appropriate solution. A phased function rollout is where a plan is developed to deliver an initial basic application, followed by additional rollouts with added features. At Viewpoint, we often suggest phased rollouts when the customer has a set budget for their current fiscal year or when one test system is initially needed but over time more will be added. Structure the development into a 2-phase approach, and only tackle phase 1 this year. How it saves: Understanding the core elements that are key to your test system vs nice-to-haves for the long run won’t necessarily save you from a total test system cost standpoint, but if you’ve already got a set budget for the current fiscal year, it can help you get up and running and allow you to add in additional capability next year. In many cases, only ~75% of the desired features are core functionality needed right away, meaning that the other 25% can be saved for future phases of development. Of course, the amount saved in the short term depends on the specific scenario. For example, saving detailed error logging and automatic database logging for a future phase could cut down phase one development time by ~5-7 weeks. Yeah … Writing requirements isn’t exactly high on most peoples’ list of favorite activities (including ours). But we all know there’s a reason requirements are mentioned in every software development methodology, design process model, and engineering design manifesto that has existed. Planning is a critical step in the engineering process, and when details get overlooked during planning they usually come back as unexpected issues. Another advantage to putting time into requirements is that it improves relationships between the customer and system integrator. It can be costly and time consuming for the integrator to extract information over phone and email. In those situations, details often change or get lost. We discuss communication a little later on, but documented clear requirements are one of the best ways to improve communication with your System Integrator from the beginning. Create a system requirements specification prior to requesting a quote from the system integrator. How it saves: A clear definition of work clarifies project requirements. This can reduce miscommunications or lost details. Amount you could save: Changes in scope of work can more than double the cost of a project. When it comes to instrument configurations often the best solution doesn’t appear until several options have been discussed. We often have conversations with manufacturing test customers about whether it is more cost effective to develop software that supports multiple instrument platforms or whether it is better to purchase new equipment to get all stations on the same platform. In situations where specialized or expensive equipment is involved, it often ends up cheaper to support multiple hardware platforms and integrate a station configuration. However, in certain situations it can be cheaper to purchase identical test equipment for all stations, which simplifies drivers and cuts down on software development time and complexity. Request two cost estimates – one showing software support for multiple instrument configurations and one showing software support for a single instrument configuration with new equipment being purchased. How it saves: A single set of NI DAQ equipment is fast to develop acquisition software for. On the other hand, the cost of replacing specialized equipment can far outweigh the price of developing software. Depending on the complexity of the instrument, it can cost ~1-6 weeks to develop and test one instrument driver. If 2 unnecessary instruments can be eliminated, that is reducing up to 12 weeks of development cost. Putting extra research into the hardware components of a system can also pay off. Finding the most appropriate commercial off the shelf (COTS) components, or knowing when to develop a custom solution is a common situation where a system integrator can provide insight. Often times System Integrators are brought onboard because they possess a skill set that you don’t. Being prepared to discuss shifting responsibilities from the System Integrator to internal resources can leave extra budget for the most specialized tasks. Documentation is the most common item that falls into this category – the System Integrator will usually need to provide some training on using the application, but generating documentation yourself can be a timesaver for the integrator. How it saves: A system integrator’s time may come at a premium cost compared to your internal resources, or maybe you’ve got manpower to spend but not dollars. It is best to utilize your integrator for the most specialized tasks. Depending on the complexity of the document, a user’s guide for a simple test system can take ~2 days for a really simple test system, or a more complicated test system could take ~2 weeks to create a comprehensive user’s guide. If you need a custom manufacturing test system and want to see how we’d solve your problem, go here. Check out our test system cost estimation calculator if you’re looking for a quick-and-dirty ballpark estimation. If you’ve got some questions specific to your scenario, feel free to reach out here.